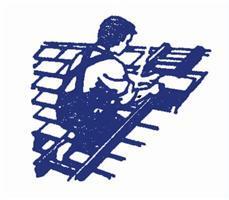 A & J Roofing & Property Services - Fascia/Soffits/Guttering, Roofer based in Billericay, Essex. A & J Roofing & Property Services is a complete Roofing, Building and Paving service who are working through out Essex. From a single tile to a complete new Roof , new Driveways, Paths, Patio, Brick walls - no job to big or small. Southend, Rochford, Basildon, Wickford, Billericay, Romford, Upminister, Hornchurch, Cranham, Chelmsford, Essex.